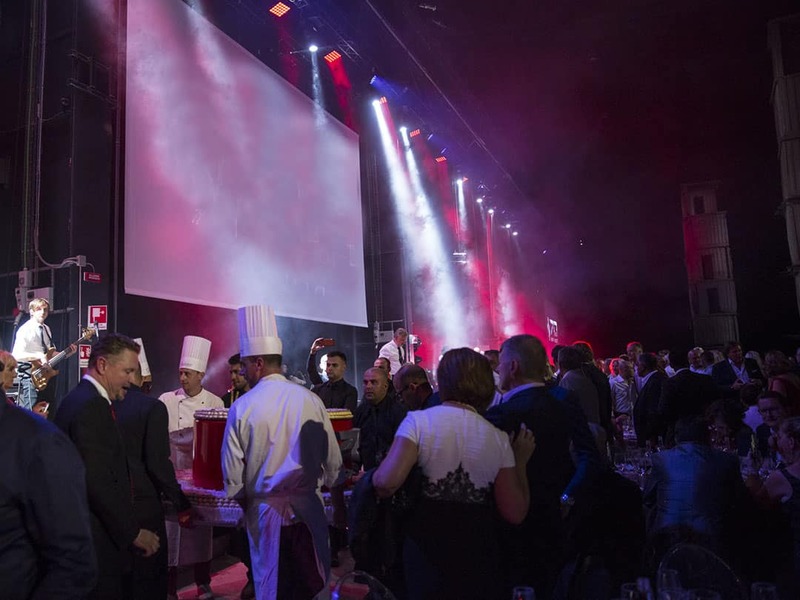 A milestone Anniversary celebration for 1,000 guests including clients, staff and prospects. 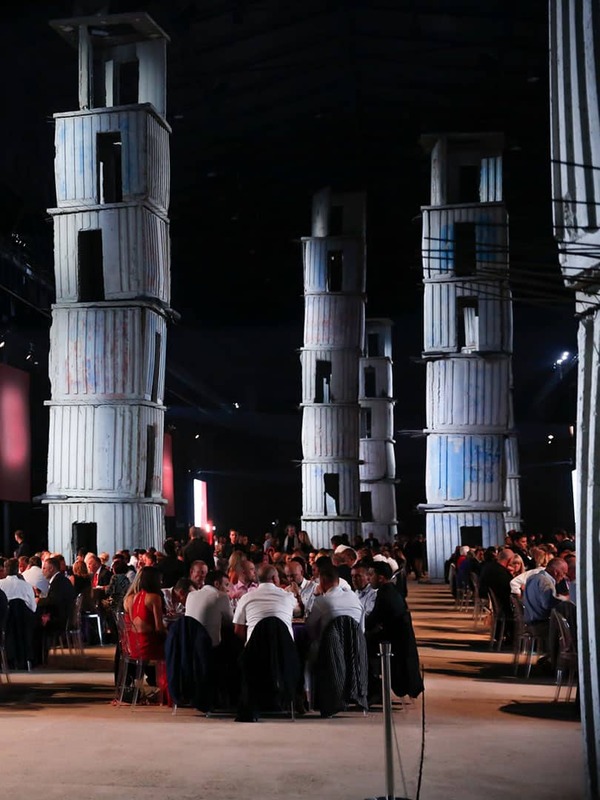 This gala evening was held in an industrial complex in Milan outfitted with a 50m stage for a live performance. A reflection on the long and important history of the brand through the creation and projection of custom videos that were a photo and video montage of selected footage throughout the brand’s existence. A milestone Anniversary celebration for 1,000 guests including clients, staff and prospects. 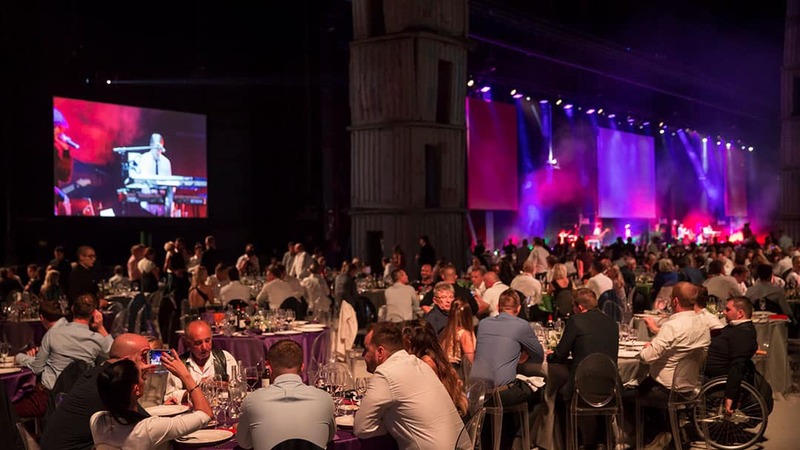 This gala evening was held in an industrial complex in Milan and was outfitted with a complete kitchen for the Italian caterer, a full audio and video set-up including stage for the 15 person live act, over 100 tables as well as a cocktail and lounge reception area. Guests were shuttled to this exclusive location directly from their hotel rooms in a tiered arrival. They were then welcomed with a champagne cocktail reception, and guided to their color-coded seating area where they were hosted by their regional manager. The served dinner was prepared fresh on-site and served by the impressive wait staff. An event of this grandeur requires 100% professional and dedicated staff, especially because our client’s entire European base of prospects and executive staff were invited. 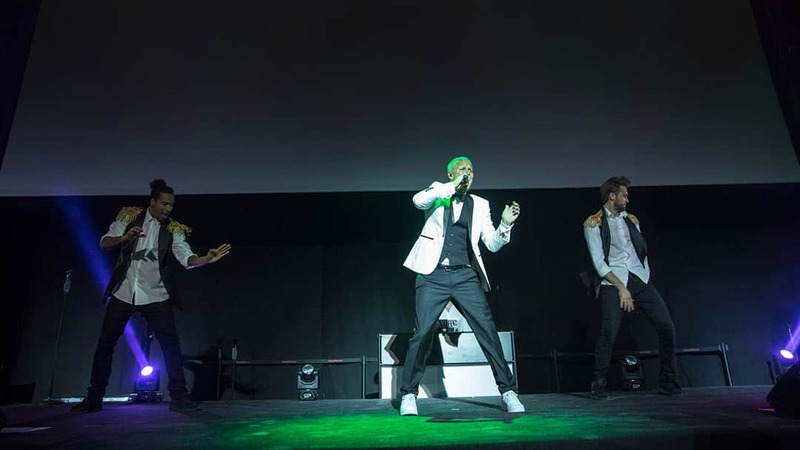 Concept & Entertainment: Show concept design, talent scout and booking, creation of memorial videos during gala dinner (from concept to creation), live stream speeches and cake ceremony. 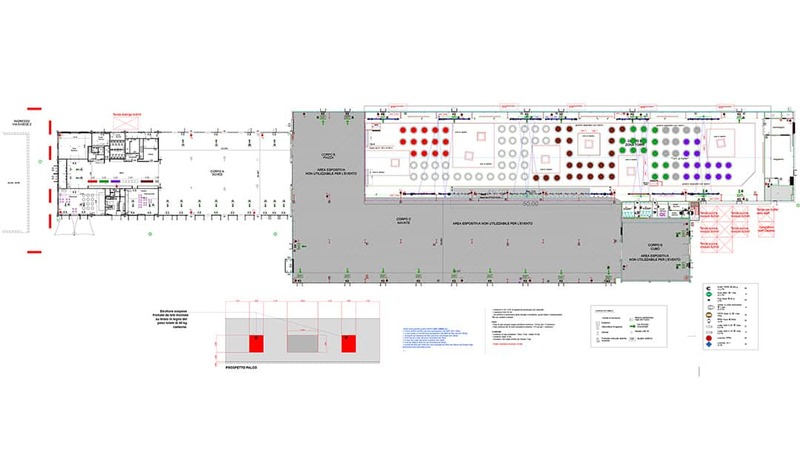 Food & Beverage: Caterer scouting, menu testing and creation, on-site full kitchen for over 100 kitchen personnel (including electrical hook-up, water and exceptional kitchen facility creation). Management of all food and beverage service including wait staff, cocktail and special dietary need requests. Set-up and take down: Our competent and professional staff developed the comprehensive technical layout for this space and within 4 days the stage build, furniture layout, kitchen creation and all other aspects of layout and interior design were completed. 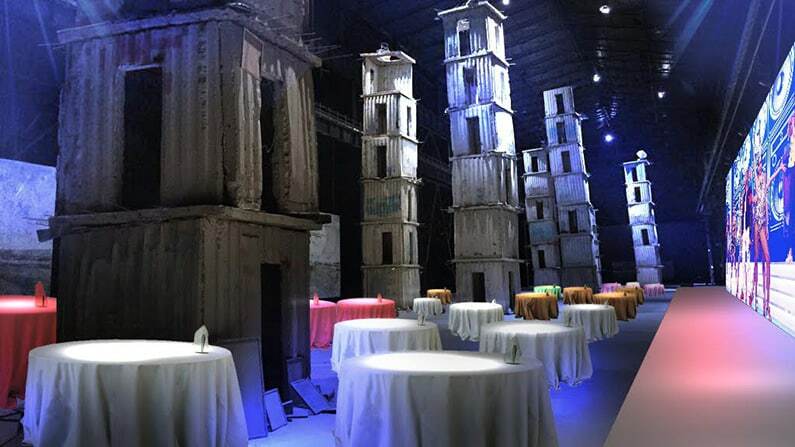 Our lighting, audio and build staff were able to dismount the entire space in one night. 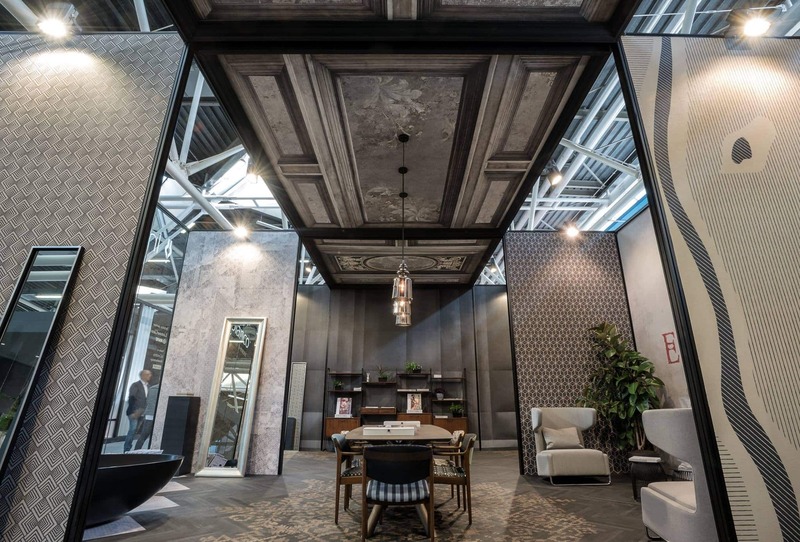 Our build and construction all elements so that your display is created with precision and perfection in any situation including trade shows, showrooms, public displays and outdoor events.